Press release: Hacktag dons its winter fur! Press release: Hacktag dons its winter fur! The Winter Hacking update is set to release on the 21th of December. 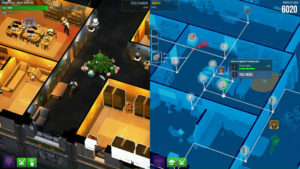 Paris, France – December, the 13th 2017 – Hacktag the 2 players infiltration game featuring a stealth agent and a hacker by Piece of Cake Studios, will release a new update called « Winter Hacking» on the 21th of December. Hacktag’s corporations are also celebrating the end-of-year festivities! In the Christmas spirit, the update adds 2 new playable characters, Christmas decoration in the 24 levels and multiple special skins and accessories have yet to be earned until January 8th. The Winter hacking update also bring Steam achievements as well as numerous requested improvements and, of course, some Christmas surprise gifts! Revamped the reward system: over 360 customisations items to unlock! Hacktag is a fast-paced 2-player co-op stealth-game with an asymmetric gameplay. Play as the stealth-agent on the field or as the virtually-infiltrated Hacker and work together to carry out espionage missions where nothing goes as expected! 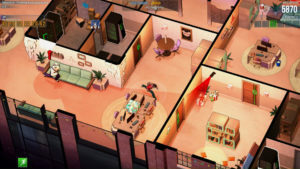 Piece of Cake studios is an independent 10 persons French videogame studio specialized in making co-op games. Our first game, Hacktag, won the audience’s choice awards at indieCade Europe 2016 and has been available on Steam Early access since June the 1st.